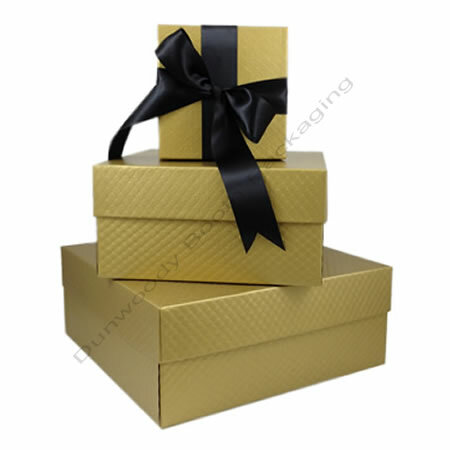 Two piece rigid boxes for storage, packaging, or gift giving. These boxes are fantastic for making gift baskets. Measurements: 7" x 7" x 4"